No no, not a university graduate with a freshly earned arts degree, a love of all things vegan and a plan to try and break out of waiting tables, a actual monstrous looking bright orange M8F Graduate. Words really can’t describe the feeling you get looking at this low slung monster taking pride of place in the showroom. It’s got such an amazing presence that you completely gloss over everything else parked nearby. Well I did anyway – it’s kind of hard to overlook the automotive equivalent of a race bred fireball. You could just imagine how much fun you’d have with the daily commute in this monster although parking it might be a bit of a drama. 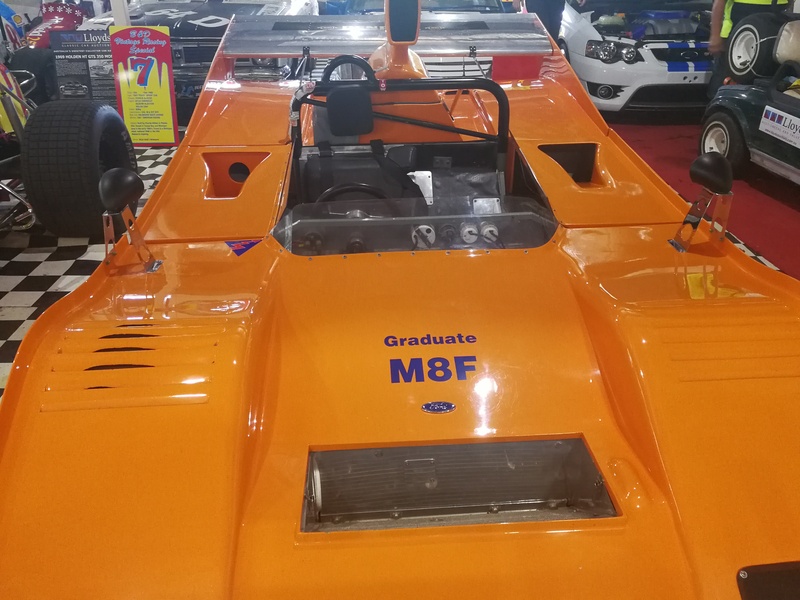 Oh and it might need it’s own garage, possibly the size of a stadium… but still, they’re the least of your problems if you can afford this incredible showpiece. Cam Log Book Group R Sports Car with COD (certificate of description) and Cams log book. Very long race history from early 60’s when driven by John Surtees and Jack Brabham in it’s original form as a Cooper T53 Climax Formula 1 Car. 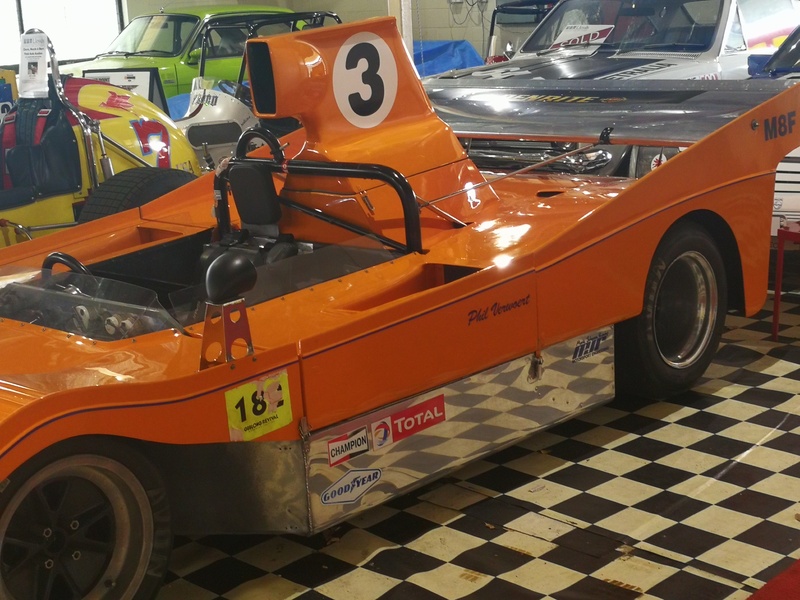 It was damaged in February 1966 and made into a sports car, and later powered by a Ford V8. 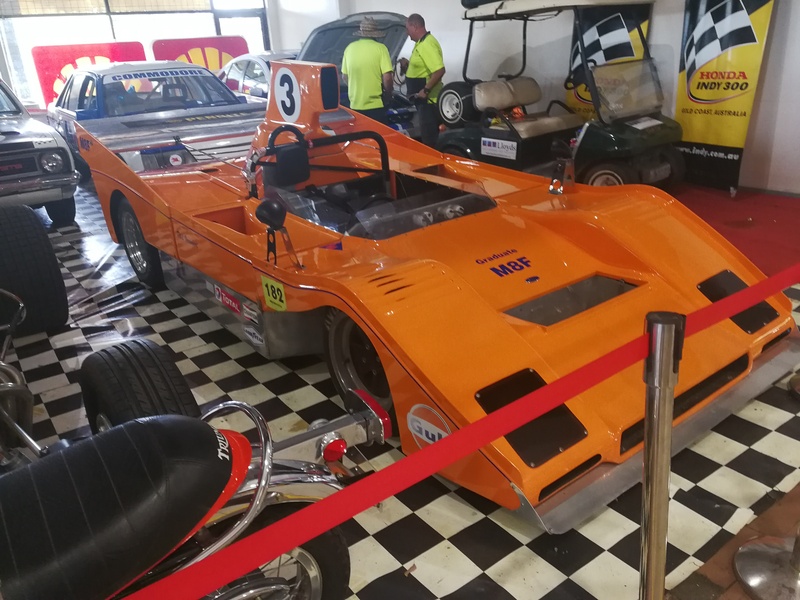 It competed in Western Australia Sports Car Championship finishing 3rd in the WA 6hr in 1971 and winning the Sports Car Class. 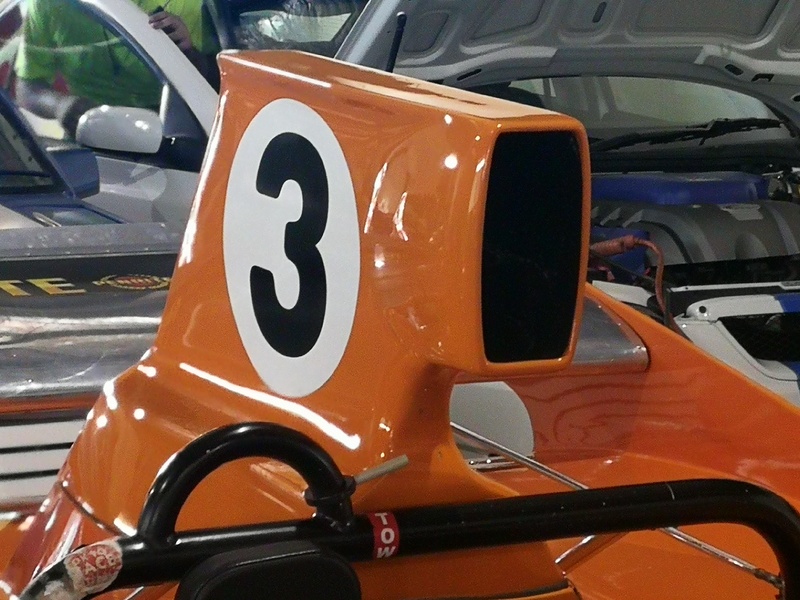 The car was purchased in 2007 and underwent a bare chassis re build / restoration and since then has competed at Phillip Island Historics, Winton, Wakefield Park, Roby Roy Hill Climb, Heathcote, Eastern Creek, Sandown, and the Australian Grand Prix/ Albert Park where it finished in the top ten starting from the rear of the field. The car has clocked at 300km/hr down the front straight at Phillip Island and laps in 1min 46.1 sec. 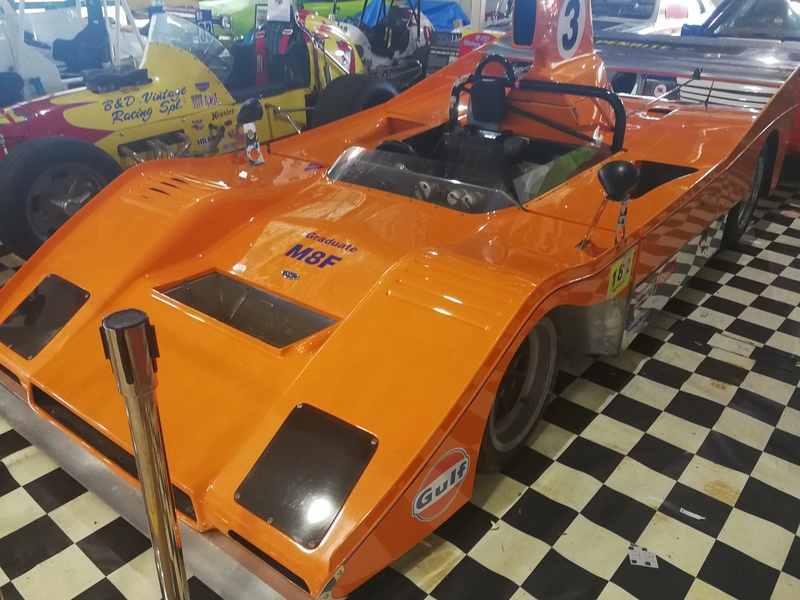 This is a very fast and well sorted Historic Race Car. Car comes with photo album and documentation of history. Ahh thank you, that’s a big help. What’s even better, is that I’ve found a video of the mad machine in action! At the time of writing this post (Jan 30 2018) the countdown clock til auction time is at 17 days, 22 hours and 40 minutes left. So if you have a burning desire to add this amazing machine to your collection, you’ll want to move pretty quick.